Administer superior customer service over the phone and in person. Assist ticket sales staff members with sales responsibilities including sales calls, processing ticket orders, coordinating group events and birthdays. 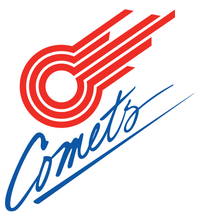 Represent the Comets organization during occasional community appearances and extra events at the arena, including the possibility of performing as the mascot. Assist with Comets Reading program and other similar community efforts for the 2018-2019 season. Assist with all aspects of the Comets overall season preparation and execution as needed. Self-motivated, organized, and detail oriented. Ability to meet deadlines and balance multiple tasks. Must be able to problem solve quickly, work efficiently in an intense environment. Must be willing and able lift items up to 50 lbs. for set up and take down of games and events. Flexibility to work long days, evenings, weekends, and holidays.